“The apotheosis of corn bread, the ultimate, glorified ideal,” wrote journalist John Egerton about spoon bread in his book Southern Food (1987). I would agree with that. My family jokes about how besotted I’ve been with this dish ever since we ate it at the Christiana Campbell Tavern in Colonial Williamsburg. 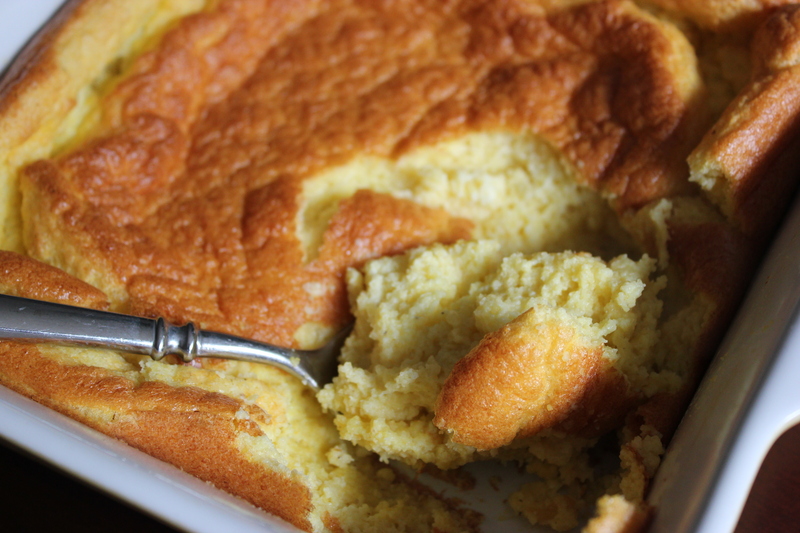 Spoon bread at its best is like a soufflé version of cornbread, slightly crusty and chewy on top and soft and airy inside. The dish evolved from Southern cornbreads during the 19th century, and although it is still made in the South, it’s unfortunately not as common as it used to be. Weary Willie cake is named after a type of hobo who used to wander the American countryside. Weary Willies would more accurately be called tramps, because unlike hoboes, who prided themselves on their work ethic, the Willies were known for slacking off and looking for handouts.